Have you noticed the change? We added units “sold” in your posting and listing page. You may have seen some of the postings and listings has this feature, and wonder why some of the others do not have this. The units “sold” will only be displayed for Lelong.my eCampaign or better known as LEC postings only. If you have seen this, it means the seller is participating in the campaign. Why join? Simple. Your sales will increase and your products will get more exposure. Usually, when we display your total sold items, you will get even more sales. It is proven that people are buying and they will have lesser doubt about you and your products. Besides that, our LEC team is always actively looking for ways to help you to promote your products and increase your sales. We are always coming up with exciting promotions! 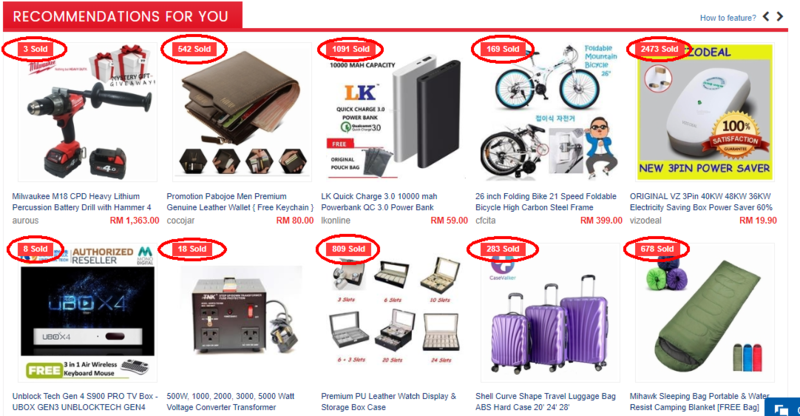 1.You must own a Lelong.my Web Store. 2.You must be a NetPay merchant. So, you wish to reach out to your potential buyers, increase your sales, and you want to be profitable ini doing online business? Let us help you with your questions. Contact us for more information at lec@lelong.com.my.